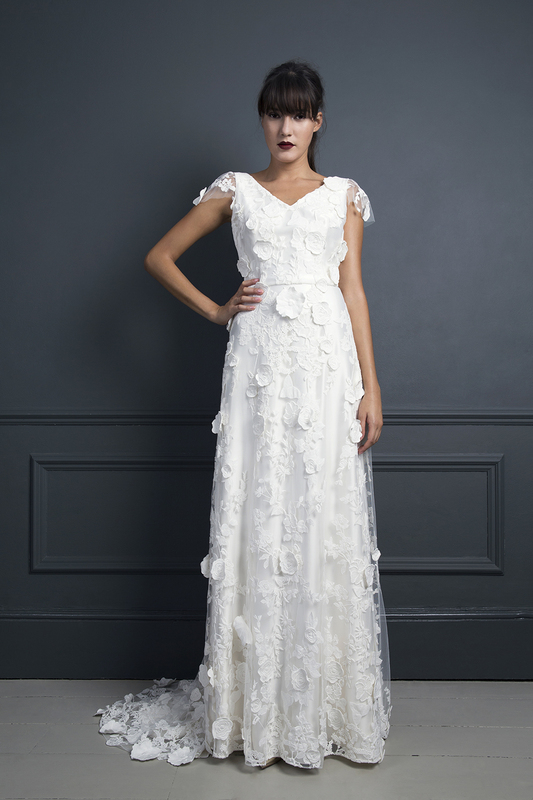 Our Dress of the Week is from the new Standing on Stardust collection: The Ebony wedding dress and Gillian Goat Coat. 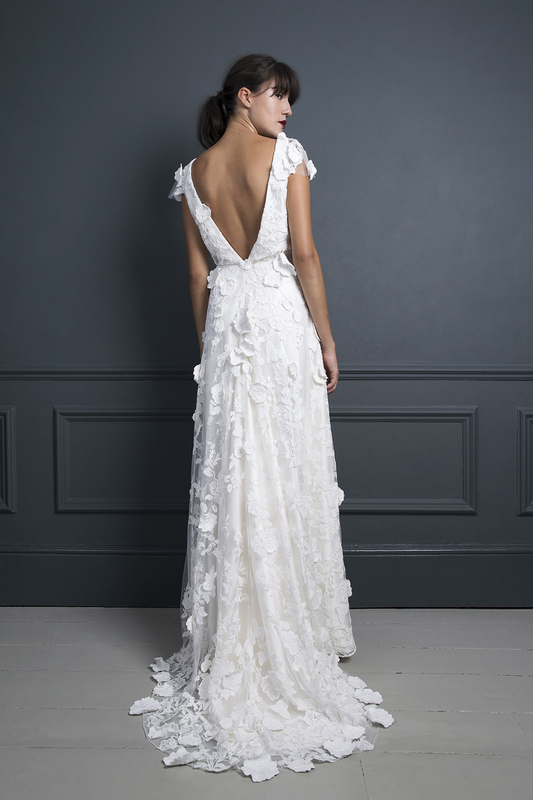 Ebony is a sumptuous lace creation embellished with 3D flowers and featuring a signature Halfpenny London low V back and beautifully flattering cap sleeves. 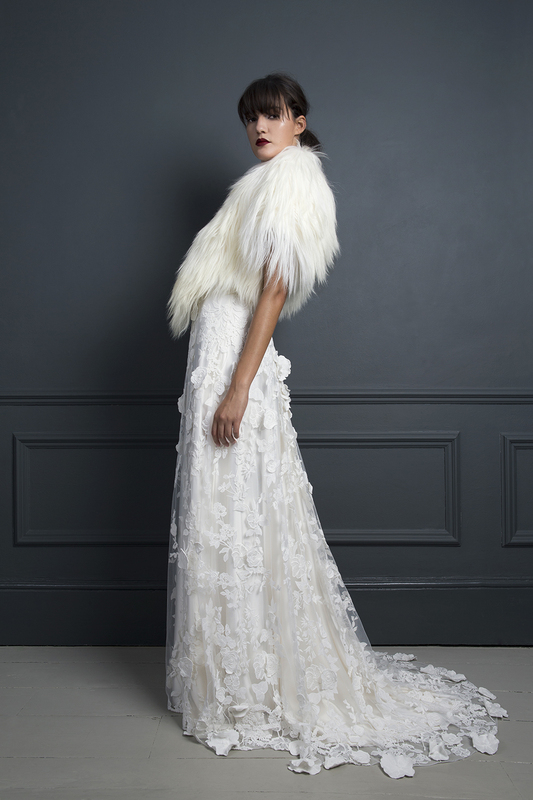 The Gillian Goat Coat is a luxurious option to keep warm in our unpredictable British climate!